It's easier than ever to save cash with Creemore vacation packages on Expedia. You'll have plenty more time to sort out your thrilling experiences — and more cash to splash! Select from more than 400 partner airlines and 321,000 worldwide properties via our global database of lodgings and flights. Fly with who you want, stay where you want — now that's the ideal vacation! You can alter your vacation reservations with us because we do not charge cancellation fees for almost all of our reservations. Itinerary looking a little empty? Creemore vacation all booked but no idea what to expect when you reach there? Let us make it easy for you. Hops and malt. If the sound of these words make you thirsty, why not check if there's a tour scheduled at Creemore Springs Brewery? Stay a while and you might even be able to sample a brew or two! Still got some time to spare? Connect with nature at Eugenia Falls Conservation Area and learn about the vitally important work they're doing to protect this special habitat. Haven't found somewhere to lay your head yet? Creemore has just 5 options, and the very best deals for luxury getaways and cheap vacations go in no time. If you haven't got time to search the net for hours for a place to stay, why not check out our suggestions? The Creemore House Inn and Mountain Ash Farm Country Inn & Spa are some of the nicest properties in the area. No one loves waiting around at the airport. But it's a small price to pay when you remember the incredible destination that awaits! 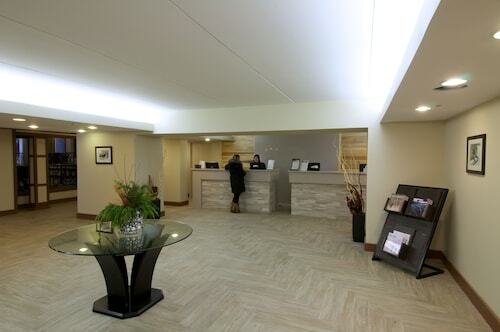 Situated 50 miles (80 km) southeast of Creemore, Pearson International Airport (YYZ) is the most convenient terminal. Situated in Creemore, this bed & breakfast is 0.2 mi (0.4 km) from Creemore Springs Brewery and 10.9 mi (17.6 km) from Mansfield Ski Club. 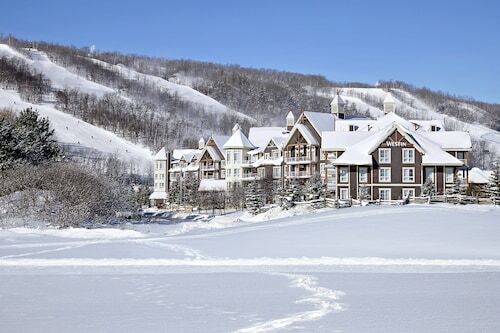 Blue Mountain Ski Resort and Collingwood Scenic Caves are also within 25 mi (40 km). Situated in a rural location, this bed & breakfast is 1.9 mi (3.1 km) from Creemore Springs Brewery and 2.1 mi (3.4 km) from Gowan Memorial Park. Blue Mountain Go-Karts and Wasaga Sands Golf Course are also within 12 mi (20 km). Situated in Creemore, this bed & breakfast is within a 10-minute walk of Creemore Springs Brewery and Gowan Memorial Park. Blue Mountain Go-Karts and Mansfield Outdoor Centre are also within 12 mi (20 km). Situated in Creemore, this bed & breakfast is 6.1 mi (9.8 km) from Creemore Springs Brewery and 6.4 mi (10.3 km) from Gowan Memorial Park. Shelburne Golf & Country Club and Eddie Bush Memorial Arena are also within 20 mi (32 km). Situated near the airport, this spa guesthouse is within 9 mi (15 km) of Gowan Memorial Park, Creemore Springs Brewery, and Mansfield Outdoor Centre. Mansfield Ski Club is 7.2 mi (11.6 km) away. 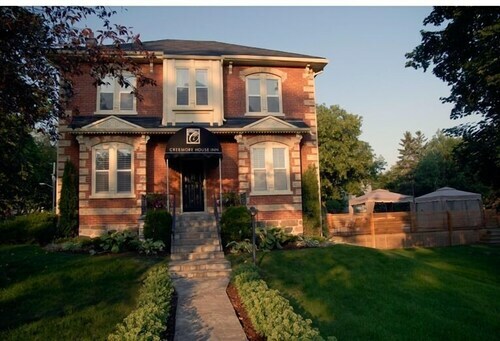 Situated in the historical district, this hotel is within 1 mi (2 km) of Collingwood Harbour, Collingwood Golf Course, and Eddie Bush Memorial Arena. Theatre Collingwood and Collingwood Eddie Bush Memorial Arena are also within 1 mi (2 km).